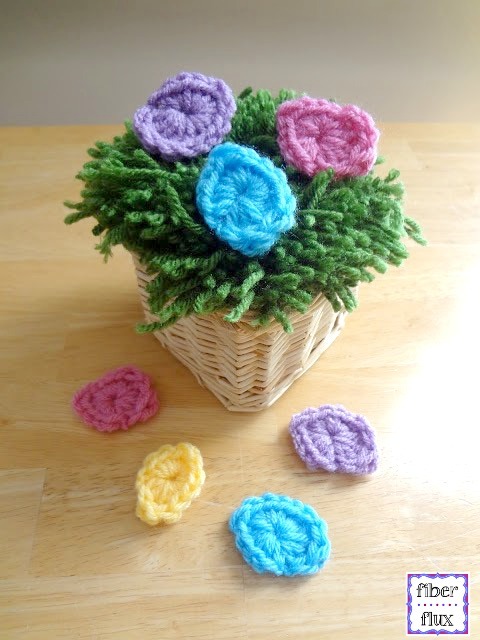 Here is some yarny grass to fill your basket this spring. This is a great project too for leftover St. Patrick's Day yarn. Try mixing up the greens too for a variegated effect. 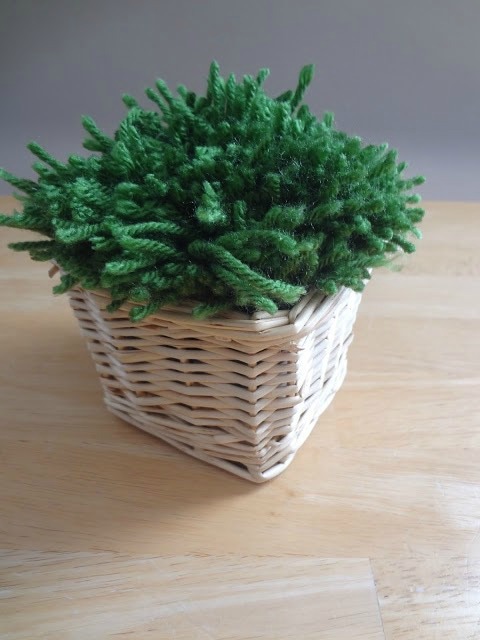 The grass "tuft" is totally removable, so you can use your basket for something else later. 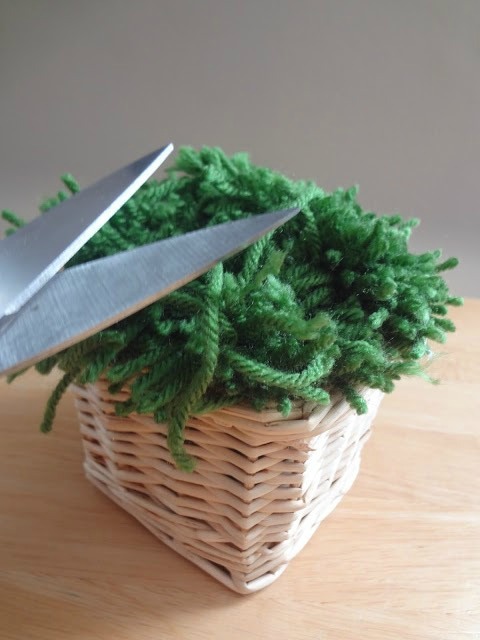 All you need is some grassy colored yarn, a glue gun, a piece of card stock or cardboard, and a container of your choosing. Now squirt some glue onto the card and glue the intact/loopy side to the card. Note: it helps to let the hot glue set up for a few seconds to make a bit more tacky so it doesn't fall over. Here it is with four bundles glued in place. All done! You could make each grass blade of equal length, but I kind of like it like this, it looks natural, like it grew that way. 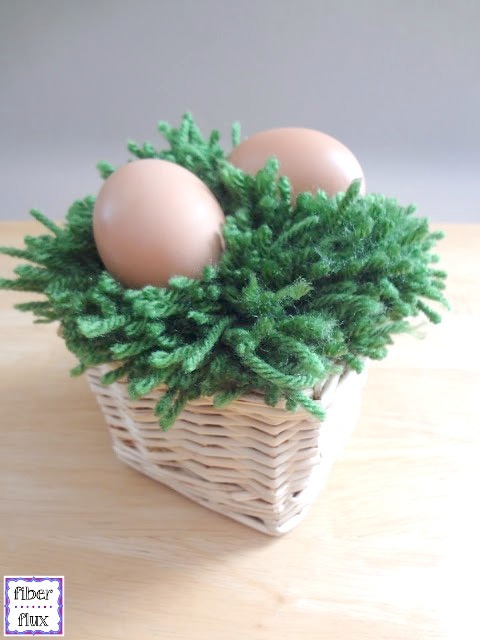 Here are some cute eggs you can put in your yarny grass basket too! Very good idea. And very cute. I can make it. Thank you very much.. Thank you too for your kind words! Thank you Mary! I'm glad you like them! Yes! I seem to have more yarn than anything else, so it was easy to find for this project!